Custom area rugs are a considerable investment. Just as you wouldn’t trust your healthcare to just anyone, you need to be selective in choosing who will clean and maintain your genuine oriental or area rug. Your silk, wool and traditional Oriental rugs will be treated in our own specialized facilities. Working in our own shop enables Artistic Associates to thoroughly inspect and test every rug’s fabric and dyes before prior to proceeding with professional cleaning. Your rugs will stay with us through the whole process, not going out to some unknown subcontractor. There are unfortunately many ways that amateur cleaners ruin an Oriental rug. Natural dyes bleed. Hot water cleaning treatments used for carpets easily damage wool rug fibers. 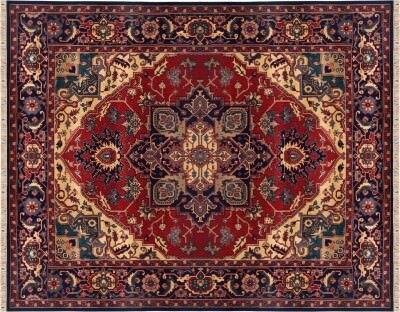 Ordinary carpet cleaning companies are seldom qualified to treat Oriental rugs. They may be insured for damage to your favorite floor piece, but you are not interested in replacing your rug. You just want to clean it! Our vast experience and specialized training for more than 40 years makes us well equipped to handle even the most challenging of cleaning issues. After thoroughly inspecting you rugs, we will determine the most effective method of cleaning appropriate for you particular rug. Most often, our 8 step process is customized to your rug. We are fully equipped to handle all types of potential issues such as moth damage, pet urine contamination and even water damage. Select the rug cleaning service that Citrus Heights can trust! Superior training, facilities and honest pricing guarantee that the maintenance and repair of your Oriental rugs will be a pleasant experience. Discover the integrity and skill of Artistic Associates! Our clients in Citrus Heights, California call us at 916.483.7400.